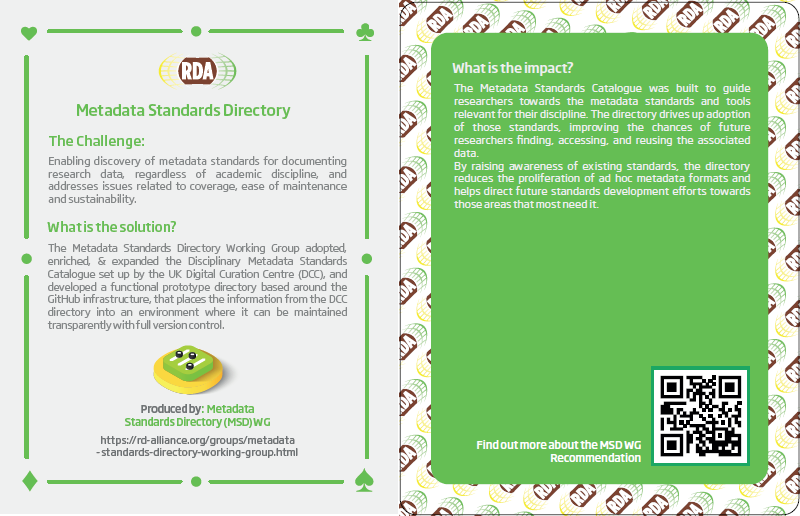 RDA Recommendations are the official, endorsed results of RDA and considered our “flagship” Outputs. 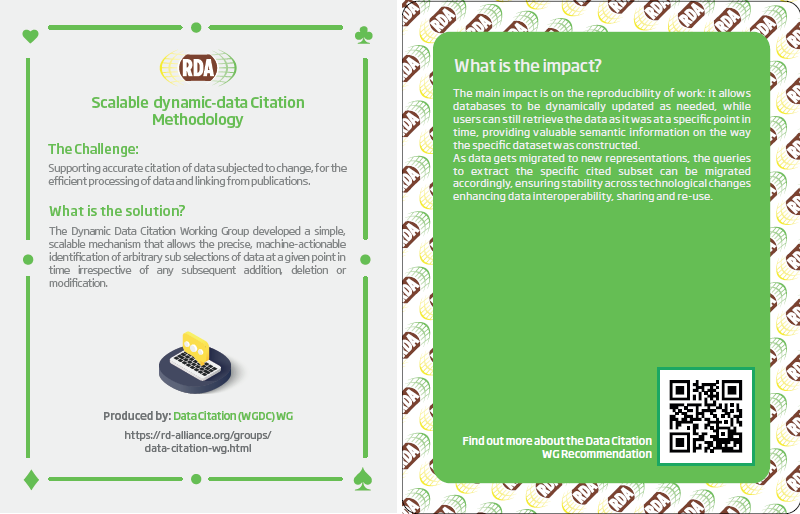 Supporting accurate citation of data subjected to change, for the efficient processing of data and linking from publications. Provides a comprehensive model for actionable collections and a technical interface specification to enable client-server interaction for research data collections. 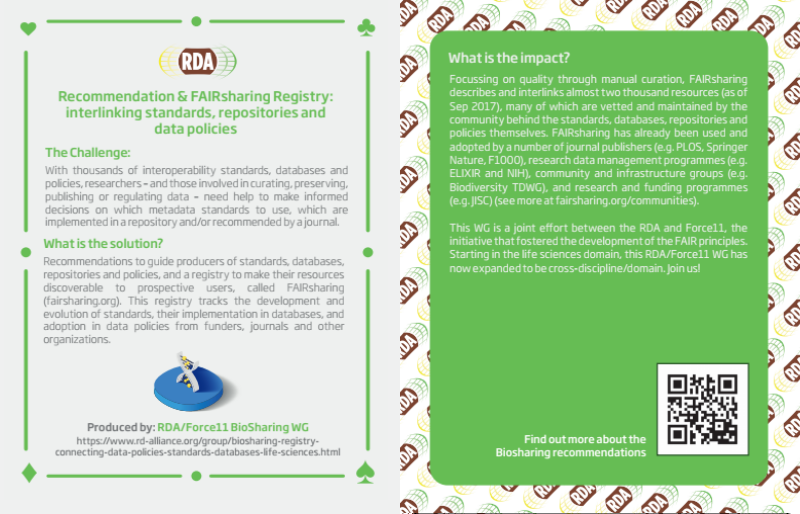 The FAIRSharing set of recommendations are designed to guide users and producers of databases and content standards to select and describe them, or recommend them in data policies. 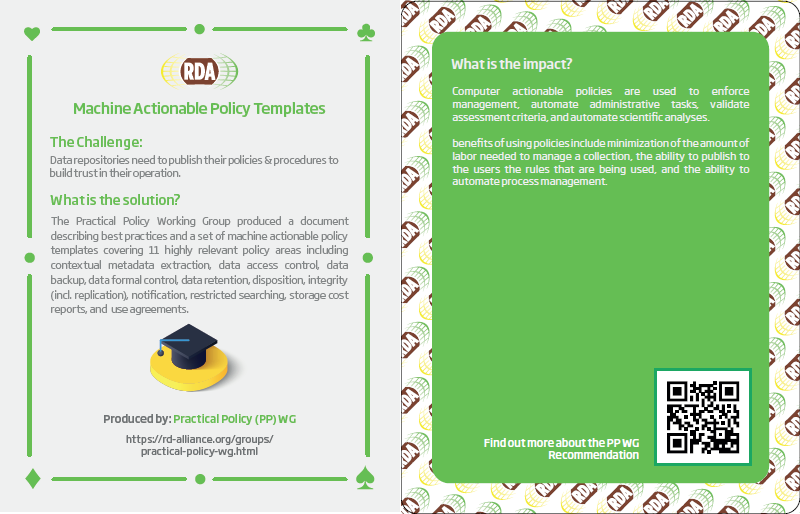 The group has also developed a curated registry, which enacts the recommendations and assists a variety of end users, through the provision of well described, interlinked, and cross-searchable records on content standards, databases and data policies. 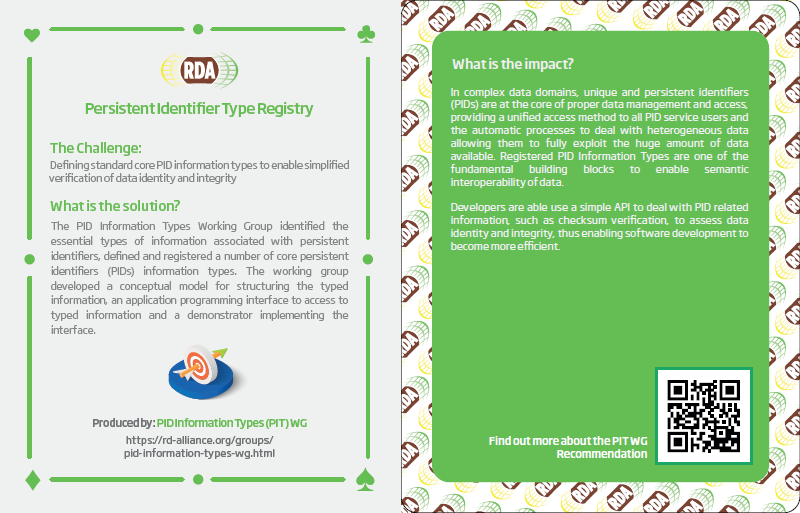 A set of guiding principles, architectural considerations, use cases and a fundamental metadata schema to manage information in Persistent Identifier records for scalable middleware infrastructure and automated processes. Supports standardized metadata for attributing work and tracking provenance in the curation and maintenance of research collections. The Scholix initiative, a high level interoperability framework for exchanging information about the links between scholarly literature and data. 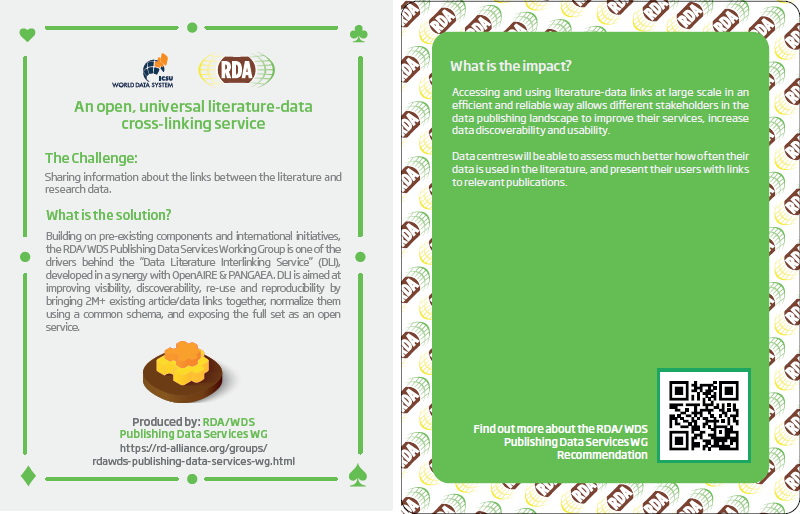 The DLI Service,the first exemplar aggregation and query service fed by the Scholix open information ecosystem. 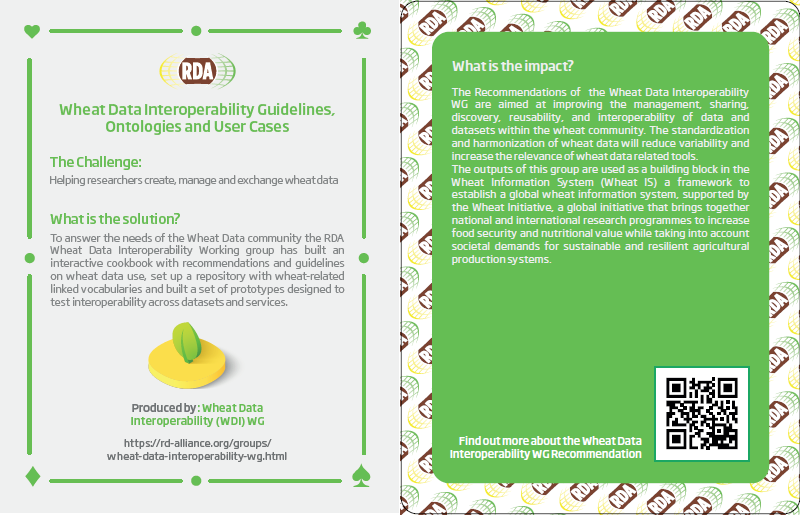 This output provides recommendations with respect to an interoperable packaging and exchange format for digital content. 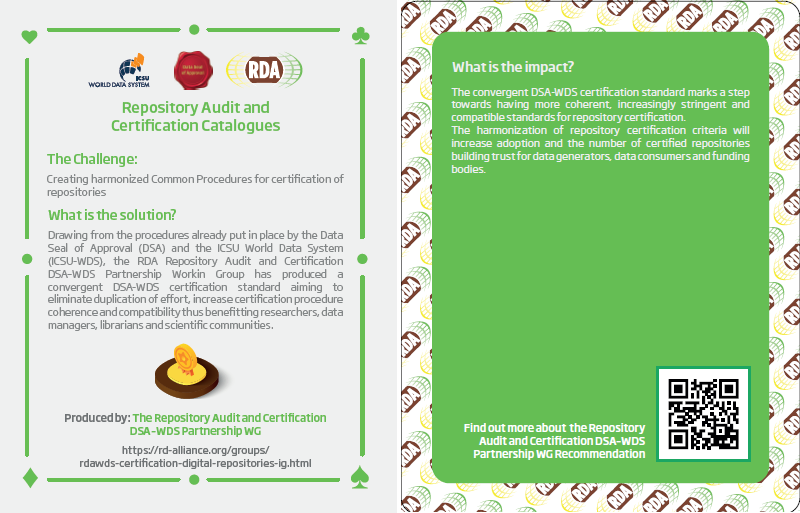 Supporting Outputs are useful solutions from our RDA Working and Interest Groups, but may not be as clearly adoptable by organisations as our RDA Recommendations. 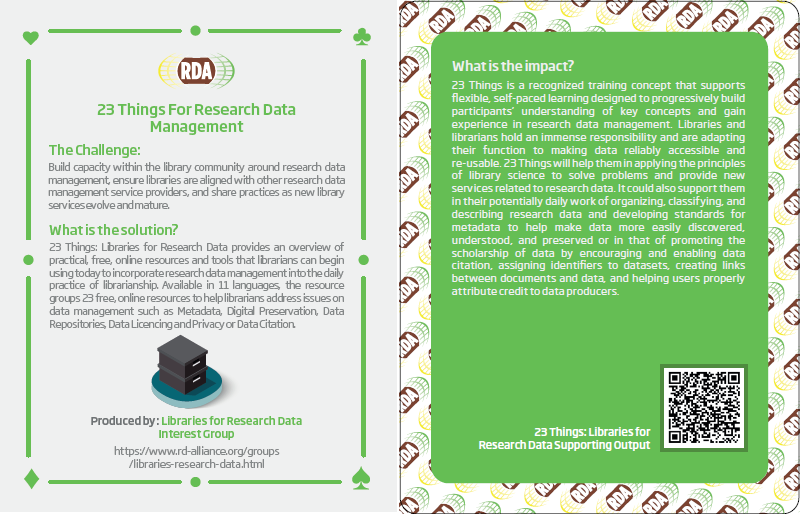 An overview by of practical, free, online resources and tools that users can immediately take advantage of to incorporate research data management into the practice of librarianship. Available in 11 languages (Arabic, Chinese, English, French, German, Hindi, Japanese, Korean, Portuguese, Russian, Spanish). We examined the practices that data repositories employ in helping users search their holdings and common data discovery issues, such as relevancy. We find that repositories desire guidelines for improving relevancy ranking, with small repositories having the greatest need. Repositories often lack the resources (time and/or expertise) to explore and evaluate the available options. There is an opportunity for people working in the search space to collaborate, through initiatives similar to TREC and the bioCADDIE 2016 Dataset Retrieval Challenge, to build test collections and other efforts that offer the greatest improvements in search services at the lowest cost. 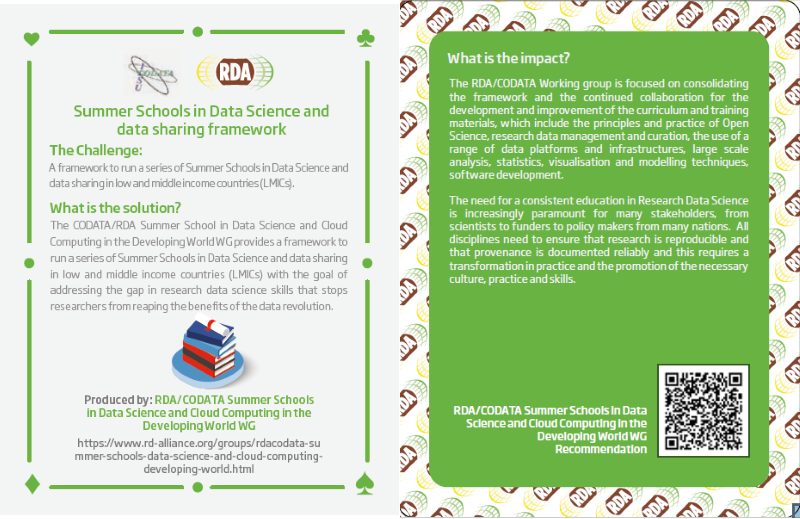 This document provides seven recommendations for a variety of stakeholders, including governments, funders, research institutions and researchers to help improve the current approach to managing long tail data. 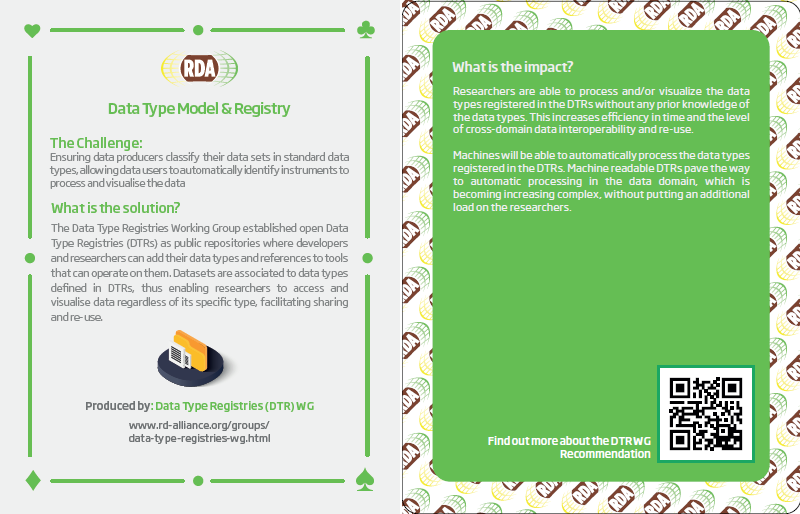 This work can help data repositories improve search and discovery of their data. 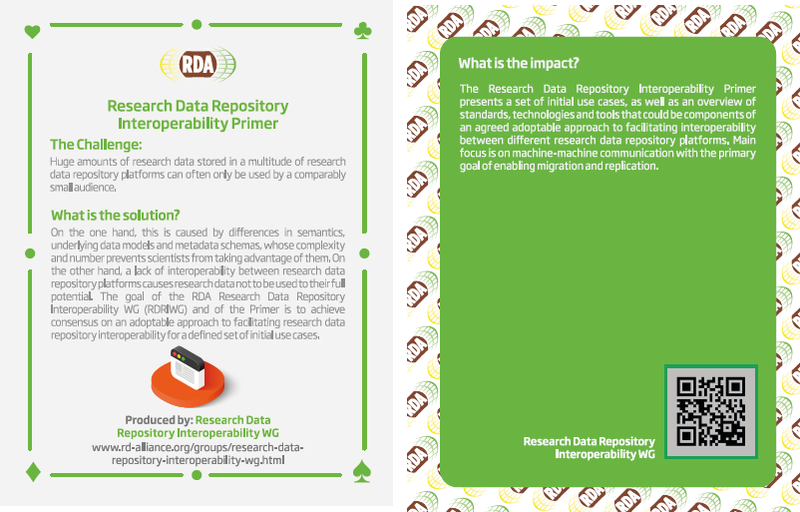 It focuses on enabling and improving the methods and tools by which users find data in these repositories. 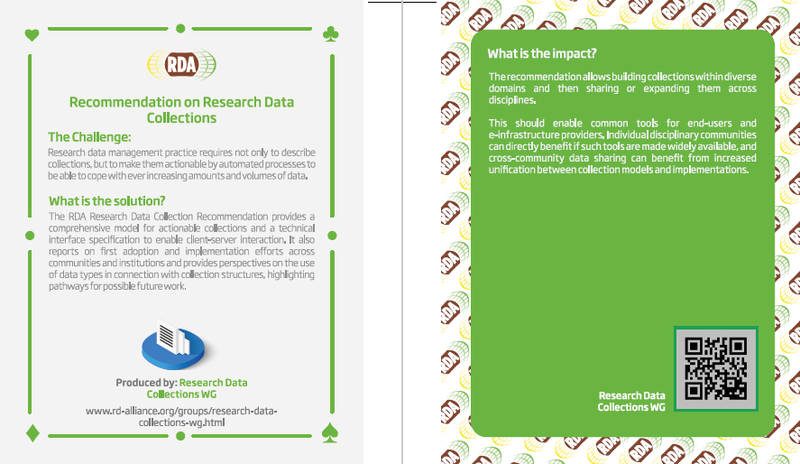 Recommendations can be used as guidelines or as a reference for developers, project and product managers at data repositories, as well as researchers who are involved in developing and improving data repositories, community platforms, or interfaces to data collections. 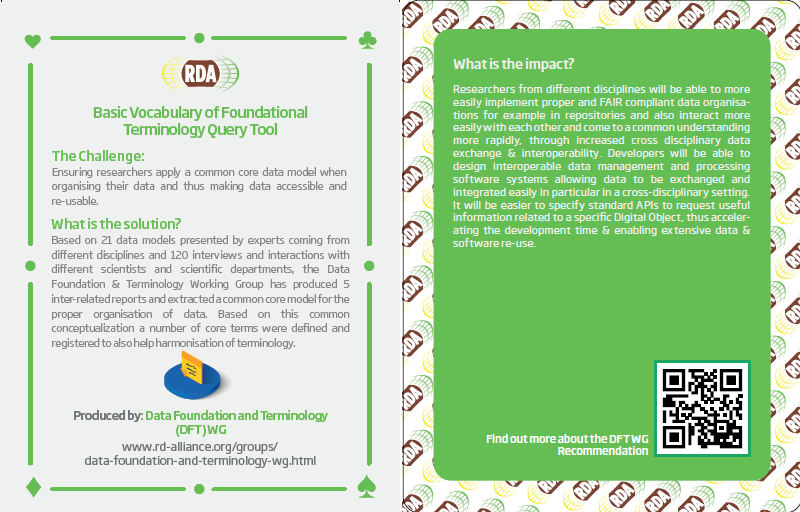 This is the published and updated version of the "Ten Quick Tips for Finding Research Data". 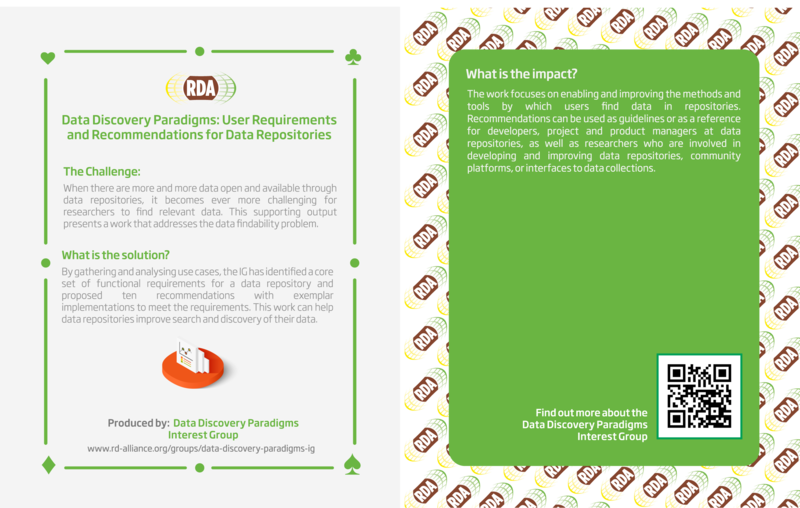 Data Discovery Paradigms Interest Group Can be used to educate and train research students and early career researchers, and to help researchers more effectively and precisely discover data that meets their specific needs. Data Centre managers and Research Infrastructures will gain a valuable insight into alternative options for cost recovery, substantiated by the results from a survey of over twenty data centres around the globe, and in different domains. 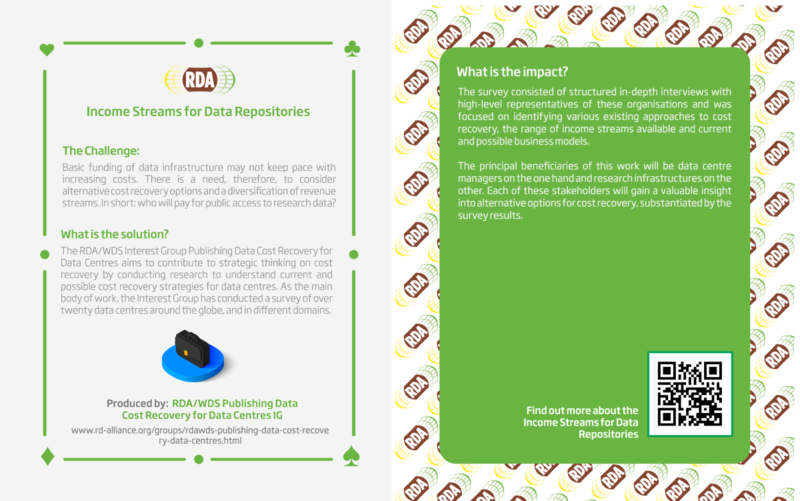 Other stakeholders, including the users of data repositories and research performing organisations are also likely to value a transparent consideration of income streams and business models that can help maintain data infrastructure on a sustainable footing. 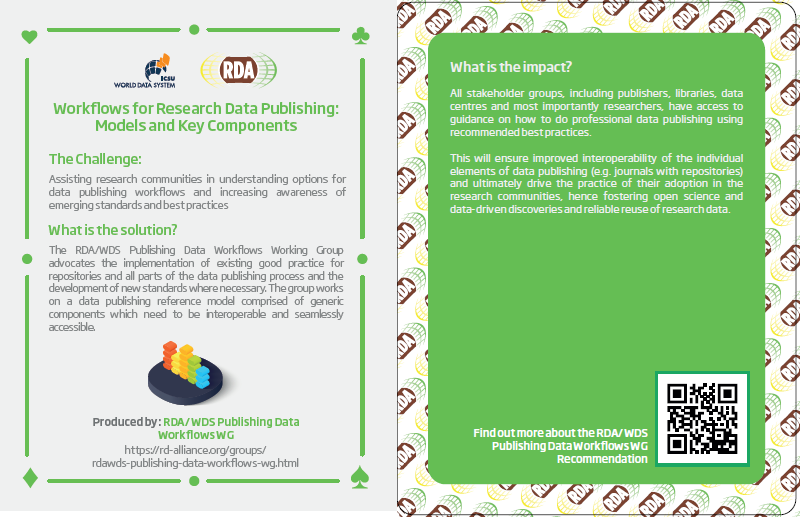 A set of principles and practical implementation guidelines offered as high-level guidance to all members of the research community who are engaged in activities that involve the access to and reuse of research data from diverse sources. The Principles are synergistic, so their greatest benefit is realized when they are considered together. 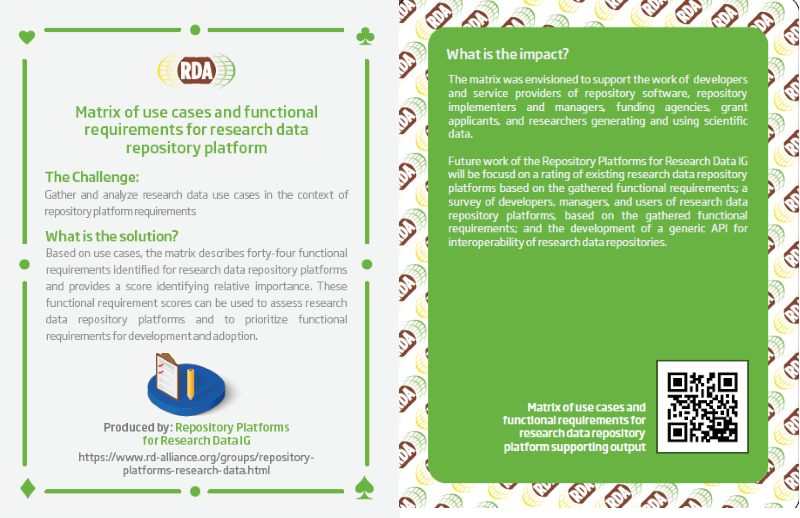 Based on use cases, the matrix describes forty-four functional requirements identified for research data repository platforms and provides a score identifying relative importance. These functional requirement scores can be used to assess research data repository platforms and to prioritize functional requirements for development and adoption. 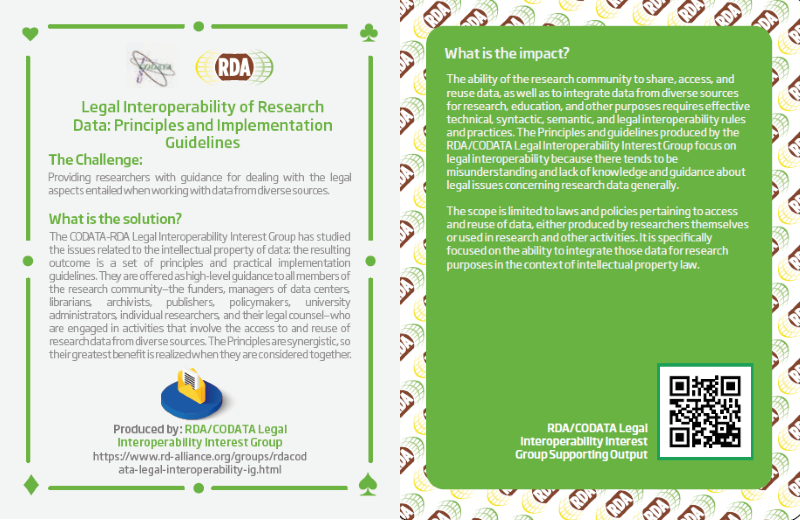 Presents a set of initial use cases, as well as an overview of standards, technologies and tools that could be components of an agreed adoptable approach to facilitating interoperability between different research data repository platforms. 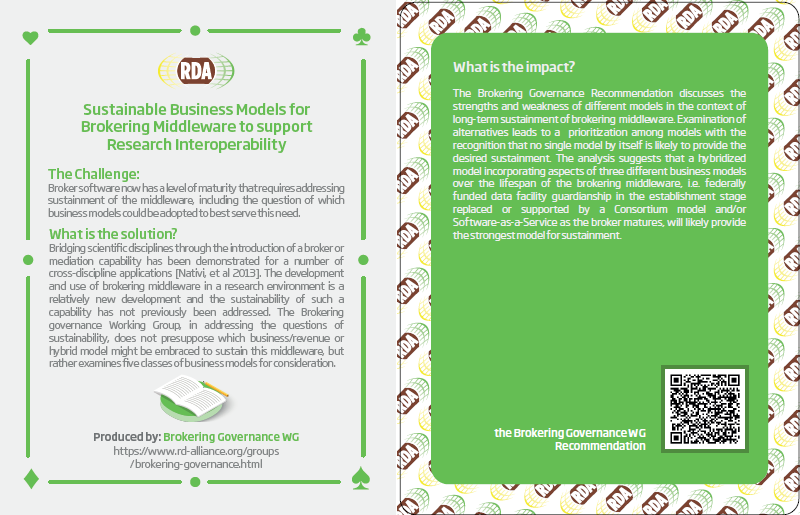 Main focus is on machine-machine communication with the primary goal of enabling migration and replication. Provides a high-level conceptual framework to support Digital Object management and service development.